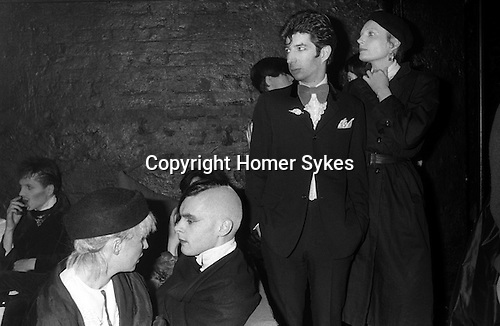 New Romantics, Heaven nightclub Villiers Street, Charing Cross, London, 1980. Duggie Fields in centre wearing bow tie. The actress Jenny Runacre standing next to DF. John Crancher fashion designer seated, with a combed Mohawk hairstyle.